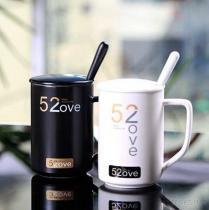 Ceramic Coffee Mug with Lid and spoon set. 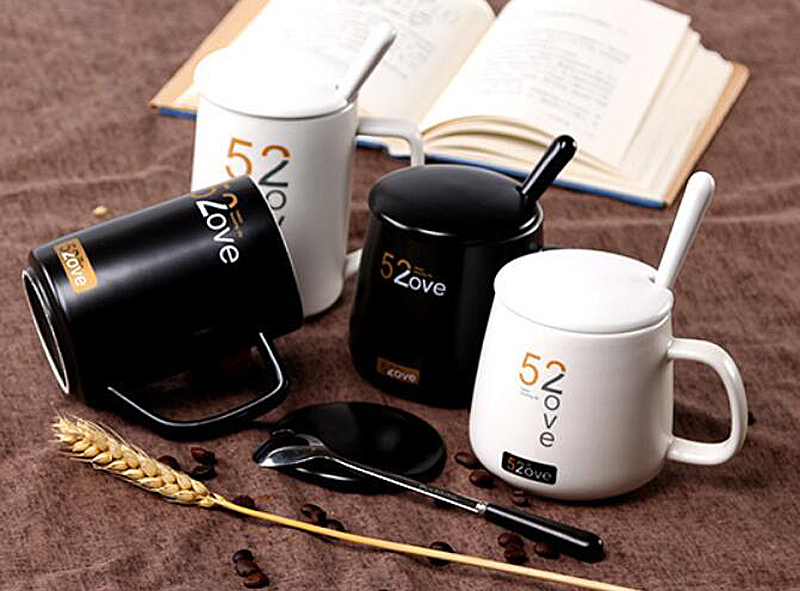 Color: two tone color mat glaze mug with one color imprint on one position. Packg: Abt. 1set/individul box, 36pcs/egg crate ctn.